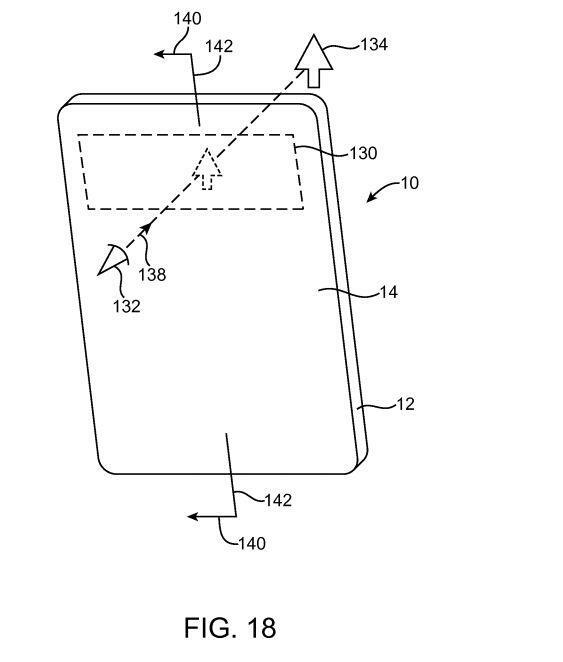 Apple was recently granted a patent titled “Electronic Devices Having Displays With Openings.” At its core, the patent describes a way of allowing a device with a large display surface area to fit extra components inside. If an iPhone or iPad’s front was entirely screen, for example, where would the speaker, earpiece, and other components go? 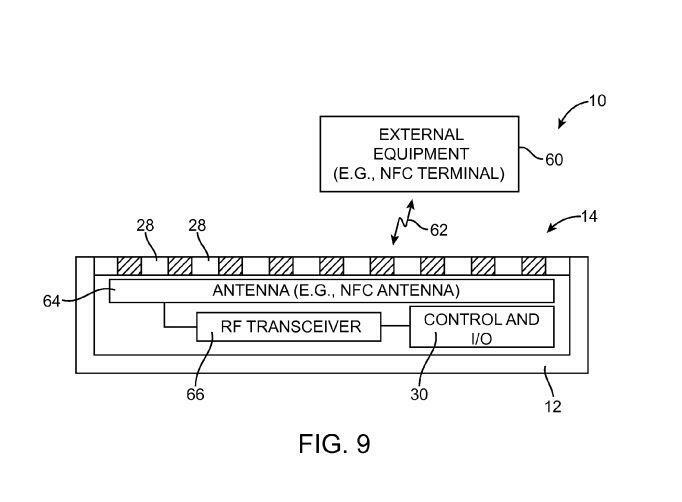 That’s what this patent tries to overcome. It also discusses the possibility of seeing through a display while viewing information on it, this is a sort of heads-up display (HUD) implementation. Apple discusses the sorts of components that might need to get access through a display that takes up the entire front of a smartphone or tablet. Those sorts of parts include antennas, light sensors, cameras, proximity sensors and even notification LEDs. Typically, those sorts of electronics are built right into the housing of a phone, or just below the glass, but not behind the actual viewing screen. Apple doesn’t dive too deep into the topic, but does discuss a HUD, which is particularly compelling. 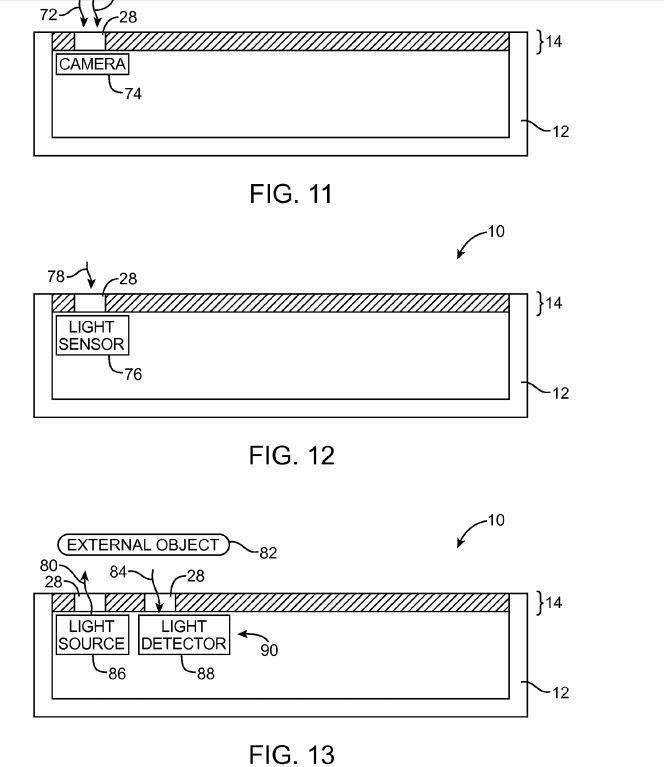 “One or more openings in the display may form a window through which a user of the device may view an external object,” the patent says. 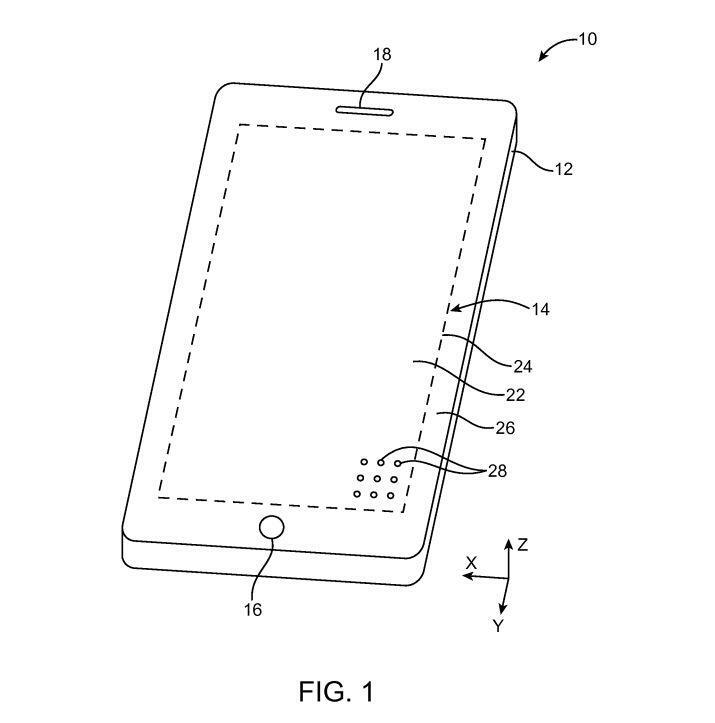 “Display pixels in the window region may be used in forming a heads-up display.” Here, one can imagine a sort of iPad with a clear window portion on it, allowing you to see through the actual device but also still view information floating on the glass. Apple has discussed its interest in augmented reality, and this could enable a bit of that, though the camera could also be used as a sort of pass-through viewing device. You can take a loser look at some of the images above to understand a bit more about what Apple’s trying to do here. The takeaway is that it’s most likely working to figure out the best approach to embedding electronics in devices with zero-bezels, which is pretty darn exciting.